Incredible work on the Stuka. Did Jason Muszala and team do all the work to this point? My heart was racing throughout that video. Ever since I was a kid I've wanted to see and hear a Stuka fly, and now it's in the US and the end is in sight. Amazing. Just amazing. Is this going to be a data-plate reproduction? 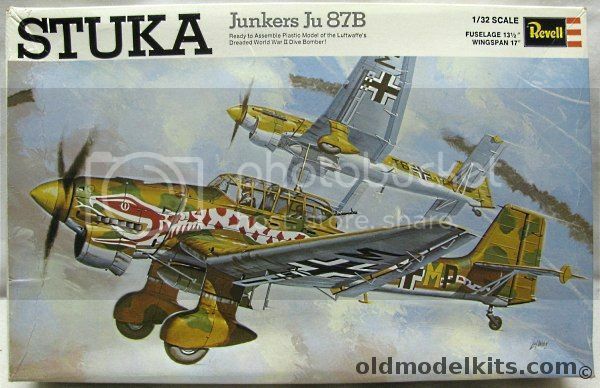 Looks like it, but it will still be a Stuka, and for me that's good enough. That is going to be a remarkable achievement. I didn't think that their Stuka would be fully ready yet, but that is great progress. I like this new openness to let everyone watch the rebuild. I would like to see Vintage V12s publish some video of the engine testing soon also. Hopefully the knowledge gained in this restoration will be shared and get a few more Stukas flying in the future. In my opinion, the Ju-87G series is the most attractive version of the plane. Wow, well done to all. Great to see this icon brought to life. Looks like a fantastic facility. This is tremendous! I can't wait to see her with air under her wings! Thank God that Paul Allen was a Warbird Nerd!! Great to see the Stuka unveiled! There is a ton of work that has gone into reaching the point at which the project stands now, and it certainly appears to be in the home-stretch, with the fully restored fuselage, wings, tail, landing gear, etc., and its rebuilt Jumo 211 engine at Mike Nixon's. I have to say that, even though I've known of the project's existence for some years now, seeing the first video footage of the restored airframe sections, especially how advanced the project is now, really took my breath away. It is really an incredible time we're living in, in the world of warbird restorations. It is great to be able to see original, preserved sections displayed as well, and FHCAM's openness/transparency in doing so. The year this aircraft gets scheduled into FHCAM's "fly-days", I'm booking a ticket to Seattle to see it fly first-hand. I have to say that, even though I've known of the project's existence for some years now, seeing the first video footage of the restored airframe sections, especially how advanced the project is now, really took my breath away. Me too, John. Even though (beacuse?) I knew it was the Stuka before watching the video, my heart rate was increasing to uncomfortable levels while watching Michelle Donoghue's Facebook video. And then to see the airframe on display, in primer, after all these years of radio silence. Amazing. I am very, very envious of those of you able to visit and see the project. Interesting that the primary airframe, Werk Nr. 0875709, left the factory as an R-2. Shall we assume that she's being rebuilt as an R-4 based on the best-available powerplant? Since it was lost in April near the Russian/Finnish border, I was wondering to myself if it will come out dressed in white. Hard to tell from the worn paint on the pieces. I too hope that they do something different and put her in a winter camo. However, I think it would provide some more awesome visuals if every winter, when the temperature drops up in Washington, that they "white wash" all of their appropriate aircraft to reflect those winter camo colors they would wear during WWII (Il-2, Storch, Fw-190, I-16, Po-2, and eventually the Stuka). It would be very pleasing to the eye! "We must bond together and fight as brothers or we will all die as fools."